GAMBLING giant The Stars Group has completed the acquisition of Sky Betting & Gaming. 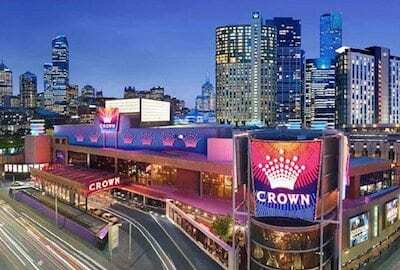 The Stars Group, which has also recently acquired Crownbet and William Hill in Australia, made the announcement on Tuesday that it had finalised the US$4.7 billion purchase of Sky Bet, which includes CVC Capital Partners and media giant Sky PLC. “This acquisition represents a pivotal moment in The Stars Group’s evolution,” The Stars Group’s Chief Executive Officer Rafi Ashkenazi said. Dramatically improves The Stars Group’s revenue diversity, creating a balanced spread across poker, casino and sportsbook with a broad geographic reach. Increases The Stars Group’s presence in locally regulated or taxed markets to approximately 75% of combined revenues. Develops sports betting as a second customer acquisition channel, complementing The Stars Group’s core offerings and creating an opportunity to cross-sell players across multiple verticals. Enhances The Stars Group’s products and technology through the addition of SBG’s innovative sportsbook and casino offerings and portfolio of popular mobile apps. “This transaction creates the world’s largest publicly listed online gaming company and unites two iconic brand portfolios with strong technology platforms and teams. This significant scale also positions The Stars Group to both secure and expand upon its global footprint,” Ashkenazi said.